While there’s nothing wrong with Fido taking a nap in the garden while you’re pruning, lawn care tasks like fertilizing can be a little risky with pets around. If you are planning on tackling some fall yard work this weekend with your pets, make sure that you have a plan for protecting them from some of the more dangerous aspects of the job. 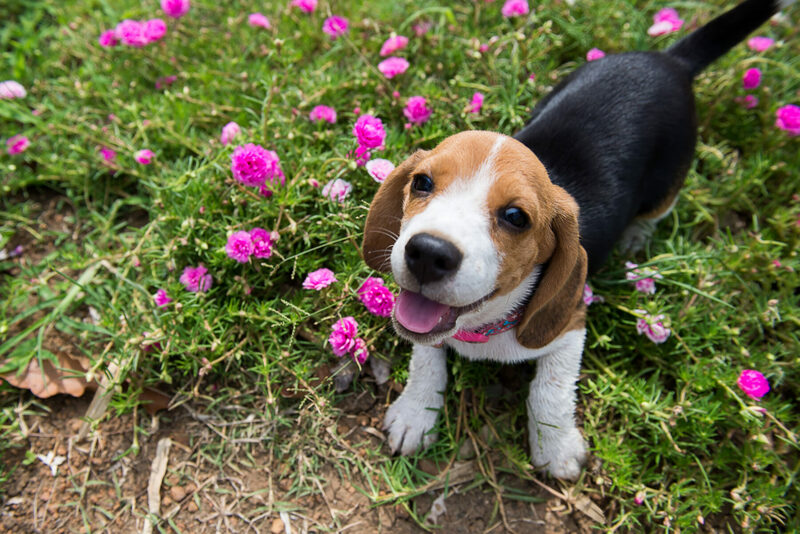 While there’s nothing wrong with Fido taking a nap in the garden while you’re pruning, lawn care tasks like fertilizing can be a little risky with pets around. Before you allow your dog to come outside and hang out while you finish your yard work, you should walk through your yard to find any stones, sticks, or debris that will be in the path of the lawn mower. If you run over any of these things, you can hurt your lawn mower or create a dangerous projectile. If your pet has any toys or leashes in the yard, take the time to clean them up as well. Before letting your pet come outside to give you encouraging barks during your yard work, make sure that everything is turned off. Lawn mowers, weed eaters, and even leaf blowers should all be turned off before your pet heads outdoors. Curious pets have turned on lawn equipment before with disastrous results, so keep an eye on your pet. Never let your pet chew on pieces of mulch when you are distributing them throughout your yard. If you can find it, use a brand of mulch that is labeled as pet safe. Avoid using cocoa mulch, which has two ingredients from chocolate that are toxic to pets. Many pets will eat fertilizer if they find it in the yard, so try to minimize how many times per year you are fertilizing. Again, choose an option that is pet-safe so that your dog won’t be in harm’s way if he eats a piece in the yard. This entry was posted on Friday, October 20th, 2017	at 5:52 pm	and is filed under Landscaping Maintenance	. You can follow any responses to this entry through the RSS 2.0	feed. Both comments and pings are currently closed.